If you thought Romney was too moderate, then Ryan may seem like a great addition to the team and a sign of good things to come. Ryan is a favorite among Tea Party types. In his position on the House budget committee, he has frequently advocated for smaller government. While Romney left some conservatives with a bad taste in their mouths because of the appearance of flip-flopping on such issues as abortion and universal healthcare, Ryan has consistently been staunchly conservative. With this move though, Romney seems to have abandoned moderates and independents in order to energize his base and silence conservative critics. With his private sector business experience being heavily criticized by Democrats, he has doubled down on the economy as his primary issue by selecting a vice-presidential candidate with solid bona fides on the economy (in the form of his budget chairmanship). He has also added a legislator to balance out his executive experience, a Wisconsinite to balance out his northeastern and northwestern ties, and a relatively youthful candidate that will contrast with Vice President Joe Biden in vice-presidential debates. However, I think selecting Ryan was a bad choice for Romney for multiple reasons. First, Ryan does not balance out Romney’s lack of foreign policy experience. For example, Romney made a highly-publicized international faux pas when he questioned London’s preparedness for the Olympics soon after arriving there. Though Romney may visit England, Israel, and other countries before the election, he still does not have the foreign policy experience, including a crucial grasp of diplomatic nuance and subtlety, that Obama and his administration has acquired over these years. In this area, two better choices for Romney would have been Jon Huntsman and Condoleeza Rice. Both would have brought legitimacy to the ticket in terms of international experience. 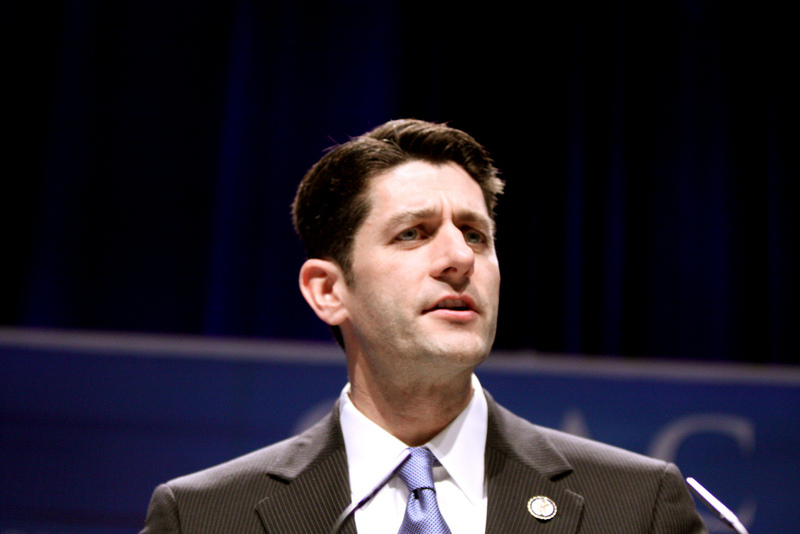 Second, Ryan’s budget ideas are highly controversial and open Romney’s campaign up to further criticism. While his extolling debt reduction and fiscal responsibility may appeal to fiscal conservatives, the elimination or major transformation of such popular programs as Medicare and Pell grants will force the Romney campaign to either: a) distance itself from Ryan’s budget ideas, or b) support them. On the one hand, if the Romney campaign distances itself from Ryan’s public budgetary ideas from the past, then it waters down Ryan’s importance and Romney gains little value from Ryan’s inclusion on the Republican ticket. If, on the other hand, the Romney campaign supports Ryan’s budget ideas, then it provides a wealth of potential avenues of attack for the Obama campaign; anything that Ryan has advocated in his budgetary proposals could be used against Romney unless Romney specifically disavows it. Third, choosing Ryan limits the Romney campaign’s potential attacks on the Obama-Biden ticket. In 2008, a major talking point for the McCain-Palin ticket is that they were “mavericks,” not members of the Washington elites who do not understand the average Joe (or average Joe the Plumber), and thus were willing to make needed reforms and changes. In this context, it was natural to attack career politicians such as Joe Biden for their long and exclusive service in Washington. Ryan, however, is also a career politician who has served most, if not all, of his adult professional life on Capitol Hill, first as a staffer and then as a congressman. At the point where Romney’s running-mate is a career politician, the Obama campaign can reasonably cry foul if the label of “career politician” is used pejoratively toward Biden. Romney could have avoided this by choosing someone who is an experienced politician yet has some distance from D.C., such as Mike Huckabee. Overall, Romney doubled-down on the economy as the key issue in this campaign, and while this may earn him some votes as the economy indeed remains an important, issue the Obama-Biden ticket will be better balanced in terms of experience (including that gained over the past three years) and thus be able to engage a broader population of voters on a wider variety of topics in a substantive, authoritative way. McCain’s choice of Palin in 2008 ended up doing his campaign more harm than good, and it seems to me that 2012 may be more of the same for the GOP ticket. Totally agree with your analysis that Ryan is a huge mistake. A couple other things I’d note: 1) Romney didn’t need to go young, he is fairly youthful (for a president), and projects younger than he is. 2) Ryan’s budget only further magnifies Romney’s #1 weakness– his complete lack of connection with the everyman. Ryan’s budget reform is so Ayn Rand-style conservative that it only appeals to staunch ideologues of a particular stripe and the very, very rich. 3) The same budget plan has taken the focus off the economy (where Romney should keep it with laser-like focus) and put it on ideology, which, best-case-scenario, tells the middle-class out-of-work-er that, if he gets a job, he’s paying way, way more taxes (by percent) then the guy writing the plan. 4) His move appears to be one to solidify a base that is already going to vote for him out of shear hatred for Obama while alienating most everyone on the fence. Republicanism 101: You go right during the primaries and back to the center during the election. It is a significantly worse pick than Palin.